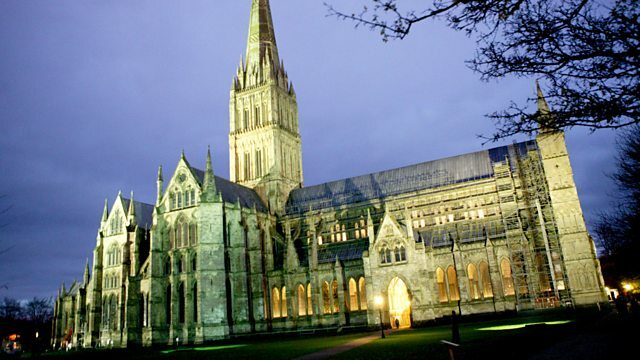 From the Southern Cathedrals Festival in Salisbury Cathedral, featuring the choirs of Chichester, Salisbury and Winchester Cathedrals. John Challenger (Assistant Director of Music). Composer: Edward Naylor. Composer: A. H. Mann. Composer: Ouseley. Composer: George Garrett. Choir: Combined Southern Cathedral Choirs. Performer: Combined Southern Cathedral Choirs.